Gunung Penanggungan is a small dormant stratovolcano dominating the view from the North coast in the Surabaya area. 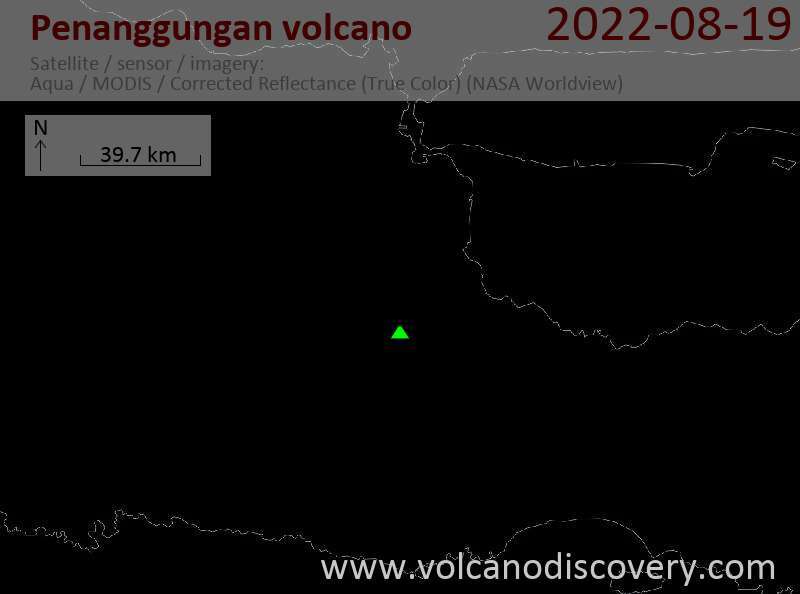 It is immediately to the north of the higher and more active Arjuno-Welirang twin volcano. Penanggungan is one of Java's most revered mountains: Ancient Javanese saw in Penanggungan a reflection of the sacred Mahameru of Hindu mythology. There are more than 81 archaeological sites on the mountain, mostly on its northern and western flanks. Ruins of sanctuaries, monuments, and sacred bathing sites of the Hindu period were found, spanning more than 5 centuries from A.D. 977 until 1511.